Direction: In feng shui a violet wall is suitable in any direction. Atmospheric perspective: The greater the distance from the a persons eye to a mountain, the lighter and more blue-violet the mountain appears. The more distant the mountains are, the less contrast the eye sees between the mountains and the sky. Sunrise and Sunset: At sunrise and sunset, light is passing through the atmosphere at a lower angle, and traveling a greater distance through a larger volume of air. Much of the green and blue is scattered away, and more red light comes to your eye, creating the colors of the sunrise and sunset and making the mountains look purple. Violet, as it brightens, looks more and more blue. 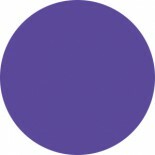 Blue Violet symbolises air and an easterly direction. 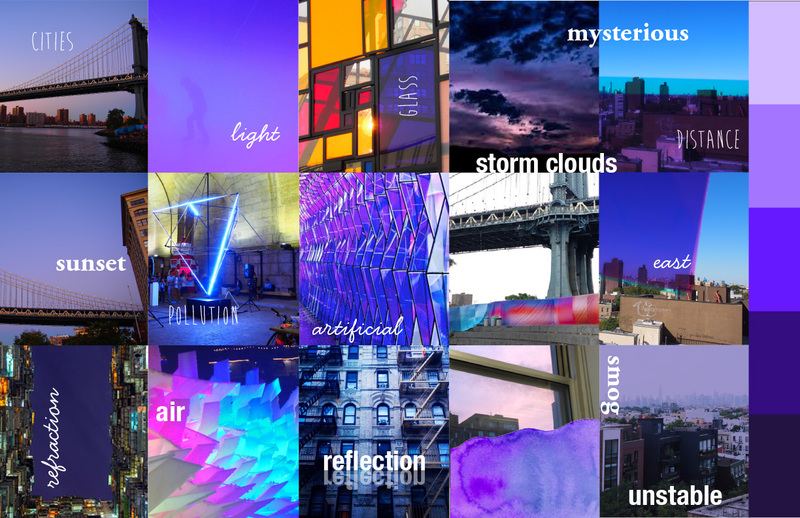 Through my observations blue-violet does not often occur in nature except when light is refracted or reflected. This entry was posted on September 29, 2014 by sarahemilycraig in Blue Violet, Projects.